This is the beginning of my first main CC2 custom level set. So far it contains 20 levels, but I plan to make many more, perhaps as many as 100 like my CC1 levelsets. Many of these levels are new designs; however, some of them are submissions to previous contests involving CC2 level design, and some are ports of CC1 contest levels that I never put into any of my CC1 sets. Currently the levels are sorted by the order I made them, not by difficulty. That will probably change in the next preview I make, once I get more levels made. I hereby submit all levels in this set for consideration in any community-made CC2 level packs, regardless of what they're called (CC2LP1 or any other name we come up with). This is my (ajmiam's) first levelset, which has been in the works for quite some time now. It contains 100 all-new levels which start out very easy but become harder over time, especially after level 70 (though there are still some easier levels mixed in after that). 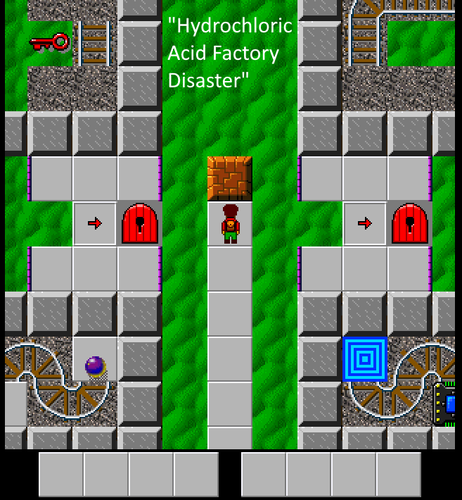 Every level has been tested in Lynx and should be MS-compatible as well. Every 10th level (except #50) is an "action" level--that is, a short level where speed, reflexes, and timing play a larger role than puzzle-solving. Don't worry, there are some puzzles and action both mixed into the other 90! I submit every level in this set for all Chip's Challenge community level packs (CCLPs), except #50 (which is just a "break" level) and any levels that have appeared in a previous CCLP. Level 99 is completely, absolutely, totally unfair. This is done on purpose. Otherwise it wouldn't be a reference to the game it's referencing. It has no randomness, though, so once you figure out what to do, you should be able to solve it. The hint gives you the password to Level 100, though, if you want to skip it. 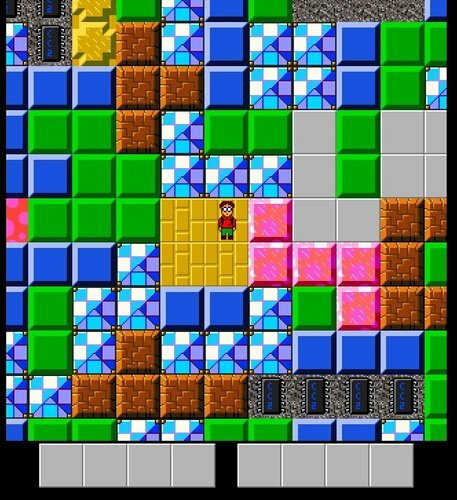 Anyone and everyone may download this set, play it with Chip's Challenge and Tile World, and redistribute this set as-is with credit given to me. You may NOT, however, redistribute this set as your own, or edit any level(s) and redistribute the result without my permission. This is significantly harder than Pit of 100 Tiles, especially near the end. I recommend you play that set first along with either CCLP1 or CC1 before playing this set. As you are playing, you might come across some "secret hints." Make sure to remember or write down what they say! They'll help you a lot in Level 50! I would like to heartily thank Michael Warner, J. B. Lewis, Tyler Sontag, Ryan J., and Josh Lee for playtesting this set and providing feedback. Their efforts kept probably a dozen busts out of the final product. Also, thank you to Jeffrey Bardon for streaming the set and providing his feedback; in addition to being fun to watch, the stream helped me find a few minor issues and frustrating parts that I've now taken efforts to correct. Just an upload to show that I have completed every CCLP1 level in MS mode and therefore qualify for the CCLP1 Graduate award.